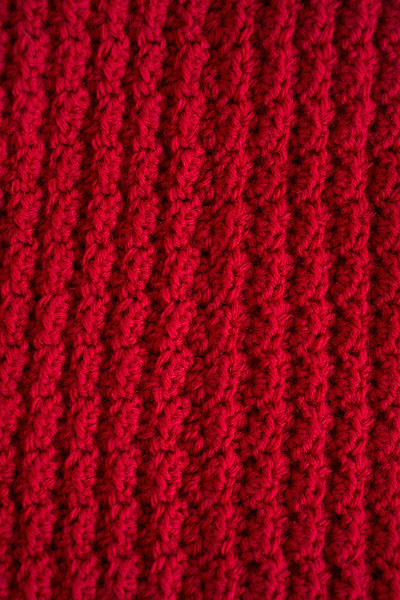 Gauge: 15 sts and 14 rows = 4” [10 cm] after spray blocking. Gauge is not critical for this project. Katahdin Cowl is a true Möbius/infinity scarf, crocheted in the round from the center out. It is fascinating to watch while crocheting, as it increases on both edges in the same round. 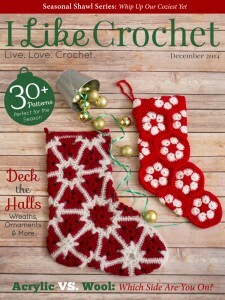 It is crocheted in an easy to memorize, heavily textured stitch pattern, which gives an overall rustic striped effect. 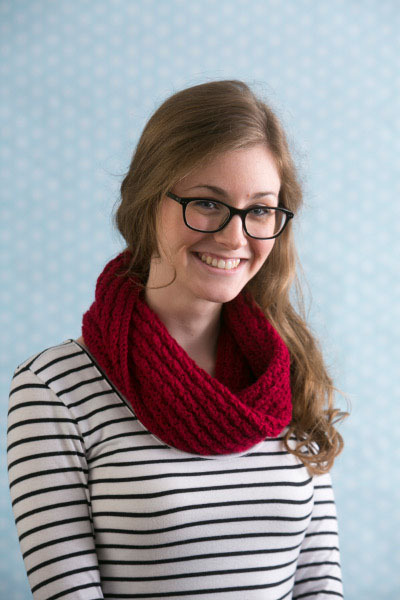 Pattern size is easily adjustable, from a snug cowl to one that can be looped around the neck more than once. To adjust the size: use a multiple of 4 sts for the circumference and rep Rnd 2 for the width, before beginning Border. Any weight yarn, with appropriate size hook, could be used. The cowl size and the yarn you choose will determine how much yarn you will need. Piece is turned every round. When turning work, joins seem less noticeable if you turn clockwise. Ch 136 (not too loosely), join with sl st in bb of first ch (being careful not to twist ch). Rnd 2: Ch 1, turn, *sc blo in first hdc, 2 hdc in next hdc, sk next sc; rep from * around, join with sl st in first sc. Rnds 3-17: Rep Rnd 2, 15 more times, or until desired width. Do not fasten off, but continue to Border rnd. Weave in ends with tapestry needle. Spray Block to measurements, if desired (see Pattern Notes).